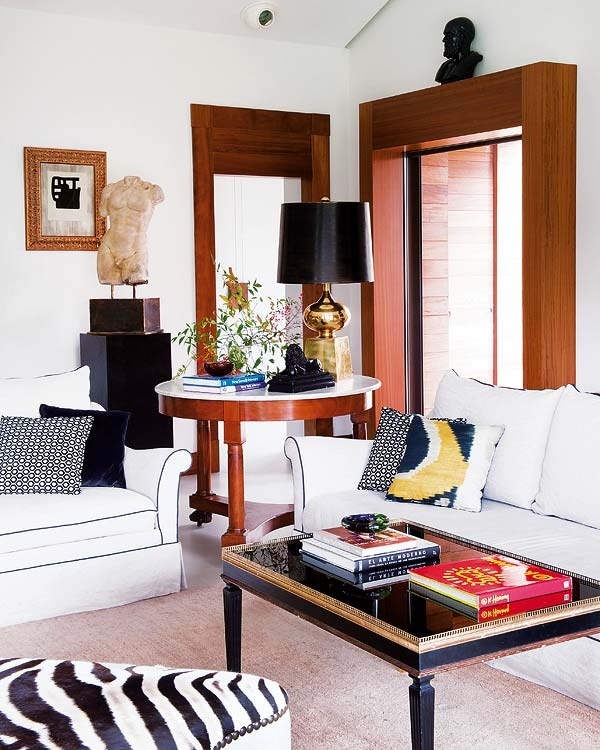 Many of the living room images I have been pinning (follow me on pinterest here) have pedestals. 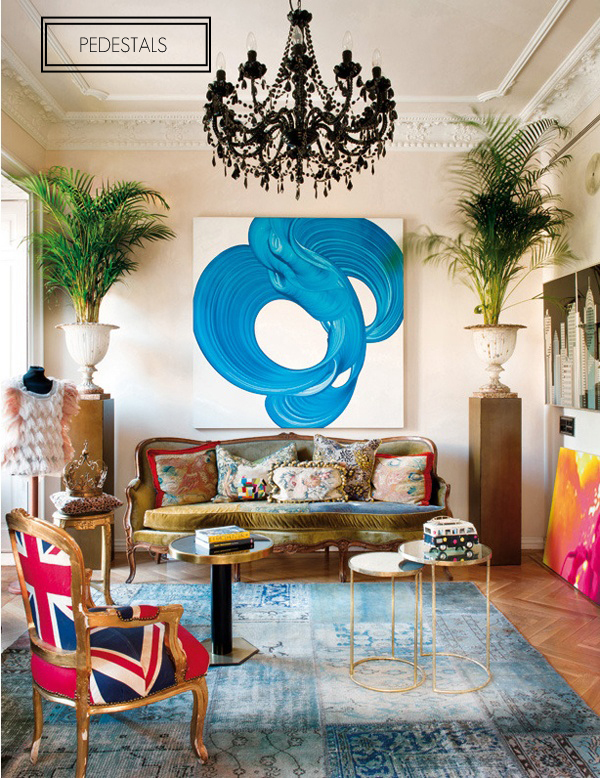 The look especially fab in living rooms with high ceilings where they add height. Not to mention they add sophistication and a sense of layers. I love the image above where they add some tall indoor palms to dress up the room. Easy and efficient. I am especially dreaming of some mirrored ones, kind of like these. They would look beautiful flanking a sofa. Seen any lately? What do you think? your cup of tea? Also, I'm over at Live, Laugh, Decorate with a post on ideas for anniversary gifts from your loved one. See here. Just gorg. Absolutely gorg. The height adds everything. WOW! I had never really thought much about these but they are amazing. They really elevate the sophistication value of the item placed on top...Just realized that I made an inadvertent pun there! Lol. Thanks for sharing. I love that fourth picture! Not only they are great anchors but they make such a great statement! I can't stop looking at that first image. So many lovely details!! I worked for a designer a few years ago that used pedestals in almost every room - plants, sculpture, and on one she had a mini-easel with a small framed print - so gorgeous! I agree with you about the height of them for rooms with the high/vaulted ceilings, definitely helps lift the room. Love!!! I'm thinking pedestals could be a great DIY painted in a bright color! Love! I'm thinking these would be a great DIY painted in a bright color!! 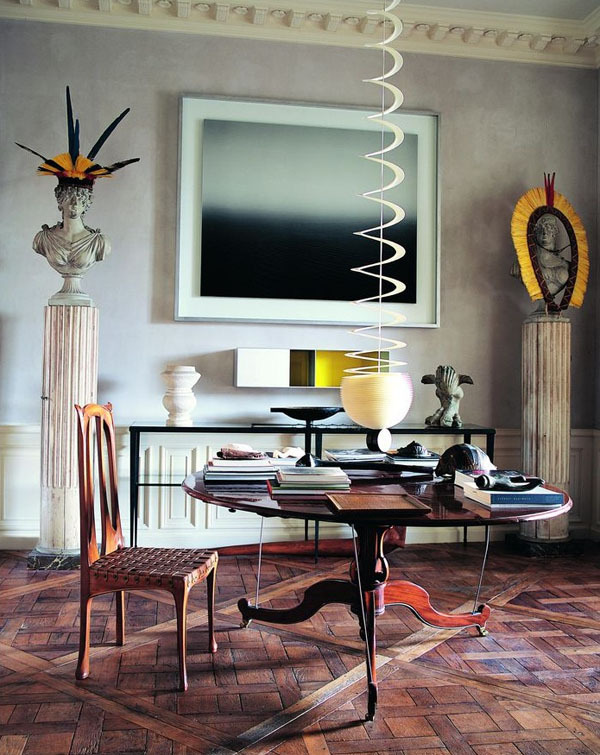 Fabulous, for me pedestals give a kind of "greatness" to a room! Pedestals are my best friend. They are the perfect thing to add to a lonely corner to create some instant eye candy. I love the height that these add to the room. Gorgeous! My mom had a bunch of pedestals in our home growing up. I personally love them for outdoor decor. But seeing that second picture makes me want to buy a couple and put them in my living room! Oh what you can do with some heigh ceilings!! I love the these and with the tall decorative plants on them. Lovely to draw the eye up and accentuate the height!! 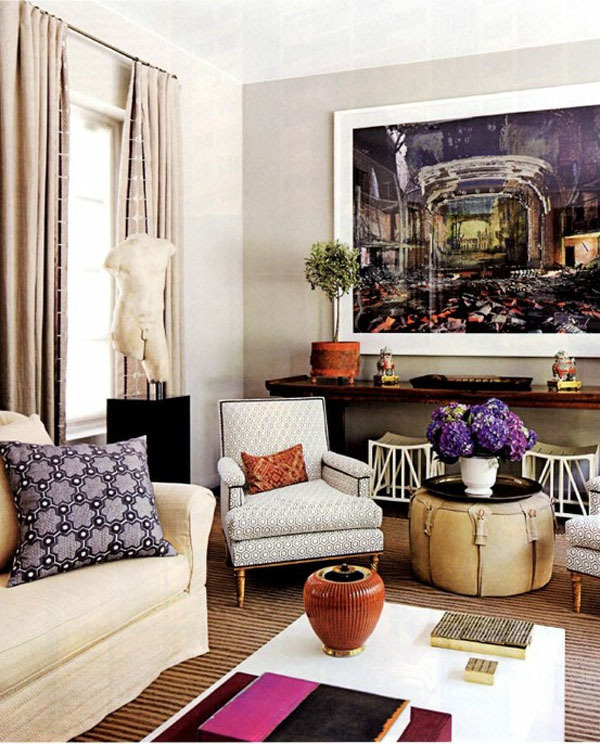 They are the perfect place for that special piece of art and ad wonderful height to a room...gorgeous images! We had two made for our wedding ceremony. Dad lacquered them up in white and I always intended to use them in the home we would buy "someday". They are sitting in storage and I had nearly forgotten about them! Thanks for the reminder!